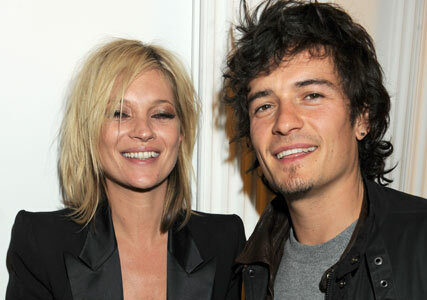 The celebrity PDA is usually a rare occurrence – bar the ever-affectionate TomKat that is – but last night, Kate Moss ensured everyone knew she was with her man, as she snogged, groped and smooched her way through an evening out with beau Jamie Hince. A far cry from the Moss of old – think slightly aloof and wary of the cameras – the super openly went from one nauseating PDA to the next, as she attended the Mummy Rocks! event at Garrard jewellers in London. But it’s not only Hince that she’s been all over this week. She stepped out in a black YSL tuxedo jacket for a third night in a row- after wearing it to both a Paris gallery opening and Sir Philip Green’s birthday bash on Monday, followed by Alexander McQueen’s 40th on Tuesday. Last night she added a pair of skinny black trousers and a vest, a slightly more demure approach to the piece than its first outing, when she wore it without a top and bra-less, giving the paps an eyeful, as she popped out while manoeuvring her way into a taxi later that night. The evening, which was in aid of Great Ormond Street Hospital Children’s Charity, brought together a host of celebrity faces, including Moss-pack regulars Sadie Frost and Meg Mathews, plus Orlando Bloom and Trinny Woodall.